VIDEO AIMS TO INSPIRE A NEW GENERATION OF OCEAN ACTIVISTS | "Global Possibilities"
Joel Harper turns his children’s book, ‘All the Way to the Ocean,’ into a movie with the help of some high-profile friends. Todd Woody is TakePart’s editorial director, environment. 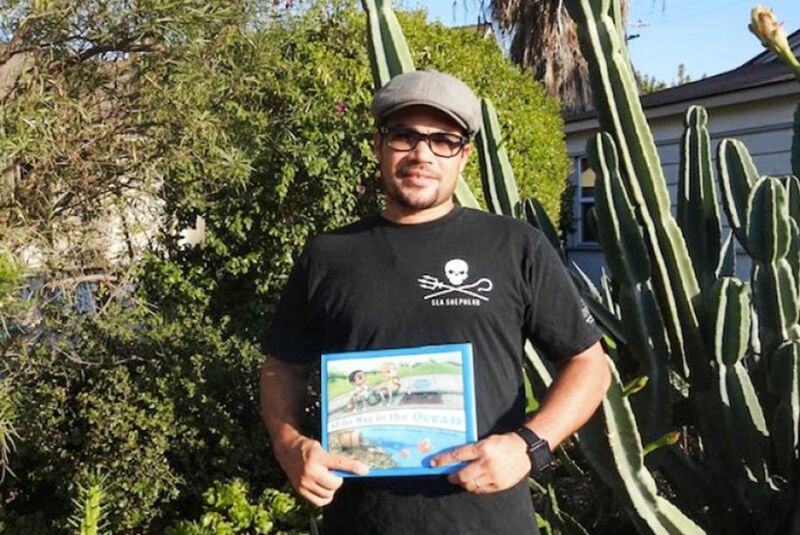 Today is World Oceans Day, and author and activist Joel Harper is using the occasion to unveil an animated video based on his popular children’s book, All the Way to the Ocean. 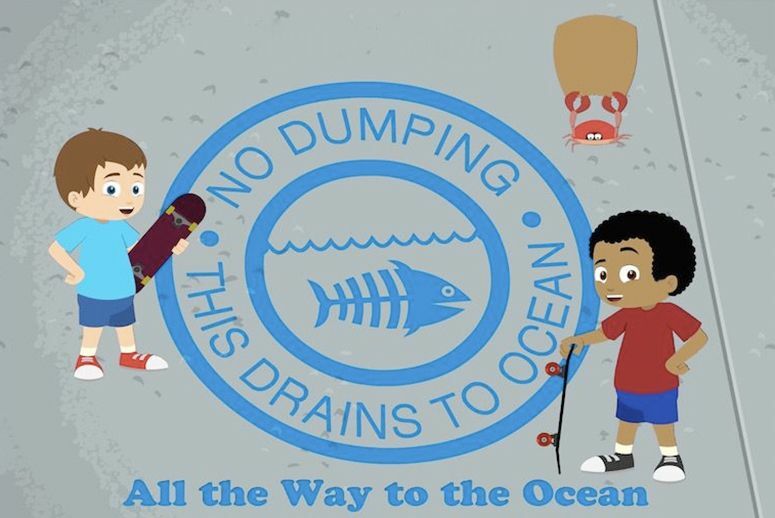 The book and video, which is available for download, tell the story of two skateboarding boys, Isaac and James, who journey from the city to the coast to learn how throwing trash down urban storm drains harms the ocean and wildlife. Encountering a talking crane, a surfer, and other characters, the boys are inspired to take action at their school to stop ocean pollution. Marcia Cross volunteered to narrate the story after Harper ran into her in a Los Angeles bookstore. The 14-minute video, which also stars Amy Smart and Xavier Rudd, features the music of Harper’s brother, Ben Harper, as well as songs from Jack Johnson and Burning Spear. Surf champions Kelly Slater and Laird Hamilton have promoted the book and video to their social media followers, and a percentage of sales of the animated short will benefit Sustainable Surf, a nonprofit focused on ocean issues. We talked to Harper, who lives in Southern California, about the challenges of publishing a book about storm drain pollution and turning it into a movie. TakePart: How did you become an ocean activist? Joel Harper: My grandmother played a major role in taking care of us growing up, and we spent many weekends at Laguna Beach and Catalina Island around the ocean. When I was 21, I spent a semester abroad in Costa Rica and Nicaragua, worked with abandoned children, teaching English. As I waited for my bus every day, I was hit by the stench of the storm drains and the amount of litter and detritus around these drains. It bummed me out. I’d pick up the trash along my walks in Costa Rica and Nicaragua. I came home to Claremont after my trip, and they had just started to stencil those bright blue “No dumping / This drains to ocean” signs. I’d ride my bike and walk around town and think, “What a cool symbol.” Then I would notice all the trash in the drains. We’re here in Claremont where we have the infrastructure and trash receptacles on all the street corners, so how can we have all this trash in the storm drains? On my bike rides, I’d start bringing trash bags with me, and if I saw something about to go down the drain, I’d pick it up. Eventually, I wrote the story that became All the Way to the Ocean. That was in 1998. 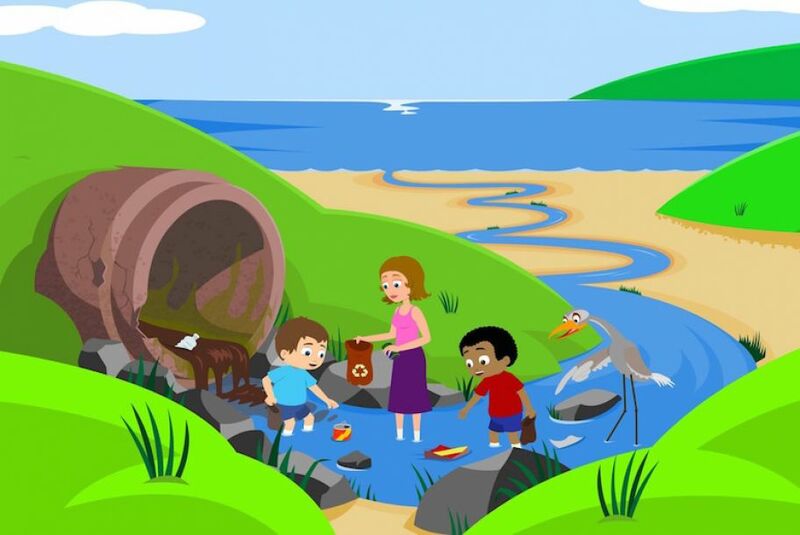 TakePart: How hard was it to get a children’s book on storm drains published? Harper: Storm drain pollution was not exactly front-page news back then. I met with big publishing houses, to no avail. They wanted to dumb down the book. They thought it was too depressing for kids. They also wanted to print the book in China and wouldn’t commit to printing in the U.S., and they wouldn’t commit to using recycled paper. I thought, “I’m just going to do this myself.” So I started my own independent publishing company, Freedom Three Publishing. TakePart: You published All the Way to the Ocean in 2006. What prompted you to make the video a decade later? Harper: I would get letters from kids all the time. And they were saying way back in 2006, 2007, “Hey, you should turn this into an animated cartoon.” So that was always in my mind’s eye. I wanted to have another medium to reach the youth. The kids are really starting a movement with this, and it’s just really turned into my life’s work. TakePart: Are you now reaching a new generation of kids with the video? Harper: Absolutely. I get emails, and people stop me in the streets and say they’re teenagers now and were eight when they got the book. It planted the seed for them about learning about the natural world and ocean preservation and ways that they could make a difference and be aware and involved. TakePart: How did you get surfers like Kelly Slater and Laird Hamilton involved? Harper: I met Laird at one of Ben’s shows. I had the manuscript, and the artwork was done. I was ready to go to press. I met him and mentioned the project and asked if he might be willing to write a foreword to it. He said send it over, and he wrote a heartfelt testimonial and has supported my work ever since on Facebook and Twitter. I think Ben might have given Kelly Slater my book. I’ve met him a couple of times. Kelly Meyer [an environmental activist and wife of NBC Universal Vice Chairman Ron Meyer] has bought quantities of my books and gives them away to actors, activists, and athletes. She’s been instrumental in getting my work to people in Hollywood. TakePart: What’s been the impact of having such high-profile supporters? Harper: I work 10 hours a day getting the book into zoos, aquariums, national parks, botanical gardens, schools, libraries, and teachers. With social media as powerful as it is, celebrities help get this urgent message out. And it’s been exciting to team up with my brother and Jack Johnson on this. So many people have lent their time to this project.